Ideally located to explore the North Yorkshire Moors, Yorkshire Dales and Coast, these 4 Farm Cottages are barn conversions, retaining many original beams and set around lawned gardens. There is a children's play area, ample parking and a large fenced dog exercise field. The cottages are pet friendly. 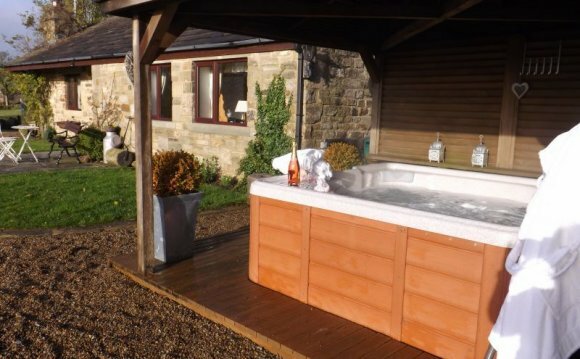 Situated on a peaceful farm, with outstanding views of the White Horse at Kilburn, this pet friendly cottage for 2 is a great base for exploring Thirsk, the North York Moors, Whitby and the Yorkshire Coast. Stables and stabling are provided if you want to bring your own horse for horse holidays. Situated on a peaceful farm, with outstanding views of the White Horse at Kilburn, this pet friendly cottage for 5 is a great base for exploring Thirsk, the North York Moors, Whitby and the Yorkshire Coast. Stables and stabling are provided if you want to bring your own horse for horse holidays.